Hear the name Gucci, and cars aren’t usually what come to mind. The guru of high-fashion handbags and accessories is more quickly associated with fashion shows rather than auto shows. That’s unless you’re talking about the FIAT by Gucci Edition 500 and 500c (Cabrio), because then the design partners suggest, success of the model is in the bag. Back by popular demand, the 2013 limited-edition 500 and 500c FIAT by Gucci Edition models will return to America with a new appearance inside and out while continuing to meet the popularity and market demand of the previous edition, according to the carmaker. 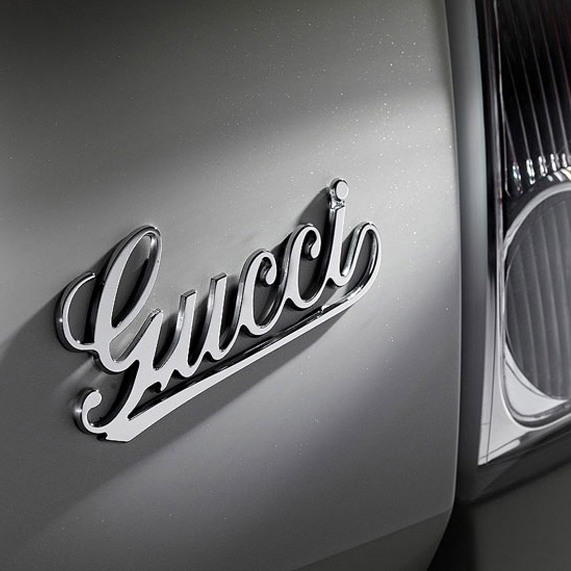 The special model FIAT by Gucci, which will be available in North America for a limited time, arrives at FIAT studios this month with a starting price of $23,750, according to the car maker. Two exterior color schemes are available: Nero black with bright chrome details, and Blanco white with satin-finish chrome, “both circumscribed by Gucci’s trademark green and red stripes below the window line,” according to Car and Driver magazine.